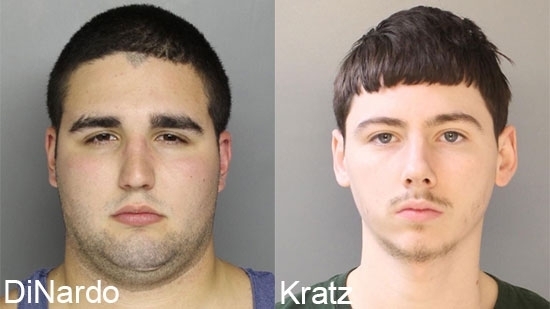 Two cousins charged with killing four young men and burying them on a Bucks County farm last summer appeared in a Doylestown court on Wednesday, 5/16. 21-year-old Cosmo DiNardo accepted a plea deal and will spend the rest of his life in prison. He pled guilty to four counts of first-degree murder, conspiracy, robbery, abuse of corpse, and weapons charges. He was sentenced to four consecutive sentences of life in prison. However, DiNardo's cousin, 21-year-old Sean Kratz, rejected his plea deal. He would have served 59-118 years for the deaths of three of victims. Kratz will now head to trial. Bucks County District Attorney Matt Weintraub says that they will seek the death penalty. 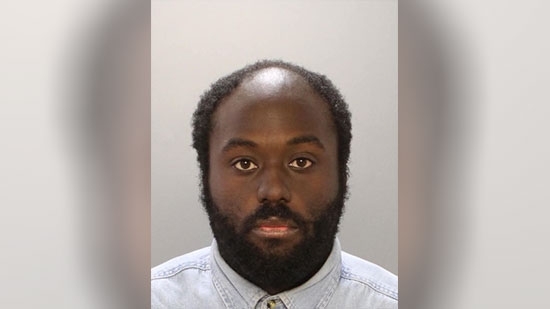 Philadelphia Police have identified a man charged with vandalizing the Israeli flag on the Benjamin Franklin Parkway. 26-year-old Antoine Guyton is charged with institutional vandalism, criminal mischief and disorderly conduct. It happened around 4 p.m. on Tuesday, 5/15, near 16th and the Parkway. Staffers of the Jewish Federation of Greater Philadelphia heard about the vandalism and went out to the flag. They saw a man spraying red paint on the flag and called police. Police do not know if the incident is connected to the opening of the US embassy in Jerusalem on Monday or what the motive may be. Mayor Jim Kenney said, "I’m very upset to learn of the desecration of the Israeli flag that hangs along the Benjamin Franklin Parkway. Hate and anti-Semitism have no place in the City of Philadelphia. While I understand that emotions are running high and there are many viewpoints stemming from recent violence against Palestinians and other protesters in the Gaza Strip, it doesn’t warrant hateful acts of violence." The National Weather Service reported a rare phenomena yesterday following an evening of strong storms. It is called a "meteotsunami" and was recorded off the coast of Atlantic City just after 10 p.m. A meteotsunami is a large wave that is driven by air pressure changes associated with fast-moving weather systems like thunderstorms or squall lines. A water level rise from 3.79 feet to 4.59 feet was detected from 10 p.m. to 10:12 p.m. It happened at a time when the tide was heading out so the sudden rise in levels caught meteorologists attention. Most meteotsunamis are not noticible. There were no reports of flooding or damage along the coast caused by this one.